The website materialflows.net was first published in 2006, in the context of a project funded by the Austrian Federal Ministry of Sustainability and Tourism. It aims at providing analyses and visualisations of worldwide data on resource extraction, in order to achieve a wider application of the material flow analysis (MFA) approach. In the course of various follow-up projects the website is continuously updated and improved. Visualisations and analyses featured on this website are based upon the Global Material Flows Database of the UN International Resource Panel. 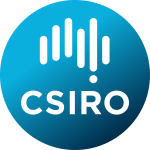 The database is compiled and maintained by WU Vienna in collaboration with CSIRO: Commonwealth Scientific and Industrial Research Organisation and Nagoya University. For bulk data downloads refer to the database portal of the IRP. Please note that the data for 2016 and 2017 are estimates.